You are currently browsing the tag archive for the ‘Il Maestro Fabrizio Acquafresca’ tag. It just so happens that I finished my second workshop with Il Maestro Fabrizio Acquafresca this past week. I wanted to refine my skills in Chasing & Repoussé. The week has been filled with ups and downs, joys and sorrows as I struggled to grasp the concepts to create movement in metal. Even though I have diligently been practicing, I just was not seeing any improvement. I desperately want to become one of the best and master Chasing & Repoussé. I know this will be a life long journey and I am willing to commit to it. Even though I began to learn the technique two years ago this month, deep down I knew I was stuck in my development. With this piece, I now know my work will begin to grow again. It just takes time and LOTS of practice, coupled with the guidance and instruction of a master of the craft. It has been said that Fabrizio is the best instructor of this technique in the world. I would agree that he is. It is my honor to call him friend and I am indebted to him for sharing his gift with the world. Now let’s see what my fellow bloggers had to say about this topic. 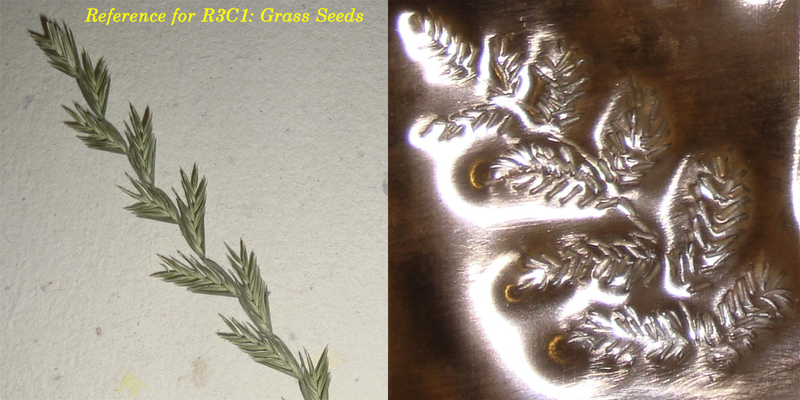 I am part of a Chasing and Repousse group on Facebook. When I first joined, I did not know this technique, but I had a desire to learn. Last year, that desire was fulfilled when I took a workshop with Il Maestro Fabrizio Acquafresca. 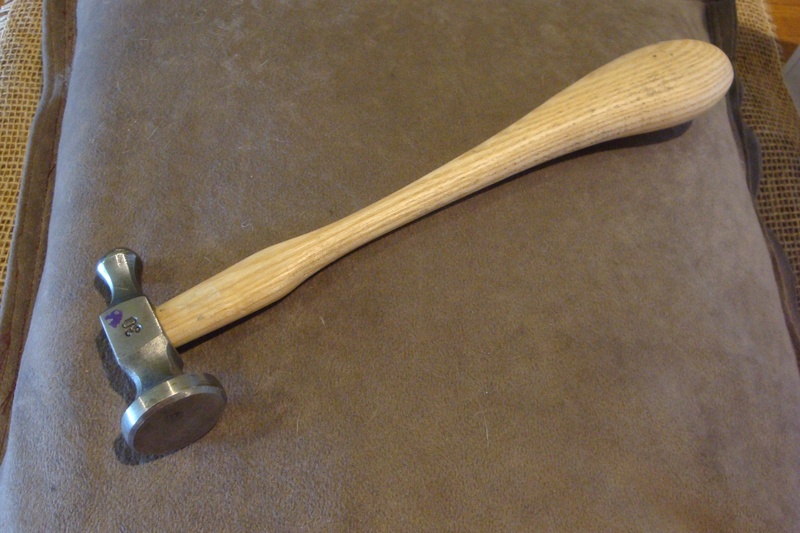 One of the things Fabrizio told me was to “keep hammering” and I am. 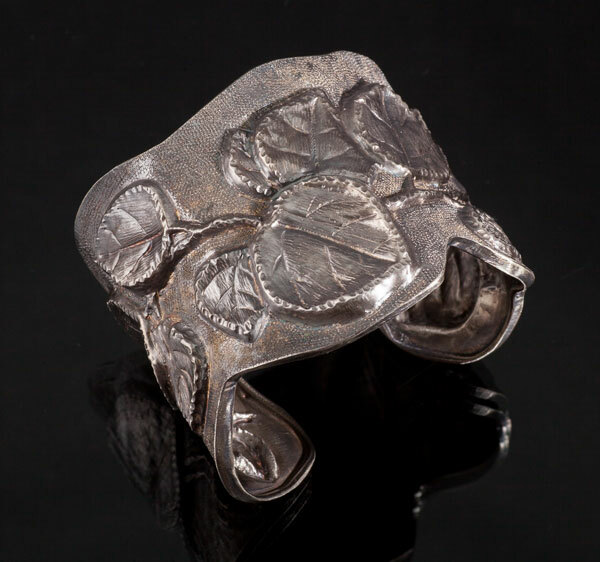 One of life’s serendipitous moments happened in June when I met Laurie Jane Kern (aka The Adventurous Silversmith) during the Artists Reception at Outnumbered Gallery in Littleton for the First Chasing and Repousse exhibit. Both Laurie and I had pieces in the show. And Fabrizio was back in Colorado for this event. Throughout the course of the evening I had many great conversations. 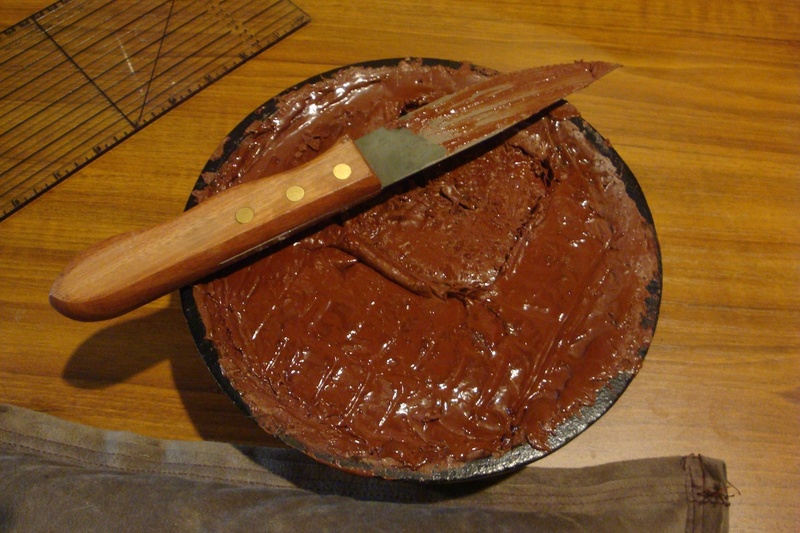 What does this have to do with The Texture Challenge? Well, Laurie is the founder of the Chasing and Repousse group on Facebook. She picks these challenges that run every 2 – 3 months. During that opening reception, she told me about this upcoming challenge and wanted me to participate. The photo at the top of this post is the result of my work. Talk about fun. Not only did I make a couple of tools for a specific texture, I also learned so much that I want to incorporate in my future works. The best part of this for me was the continued, almost daily practice, so I could complete the sample in time. 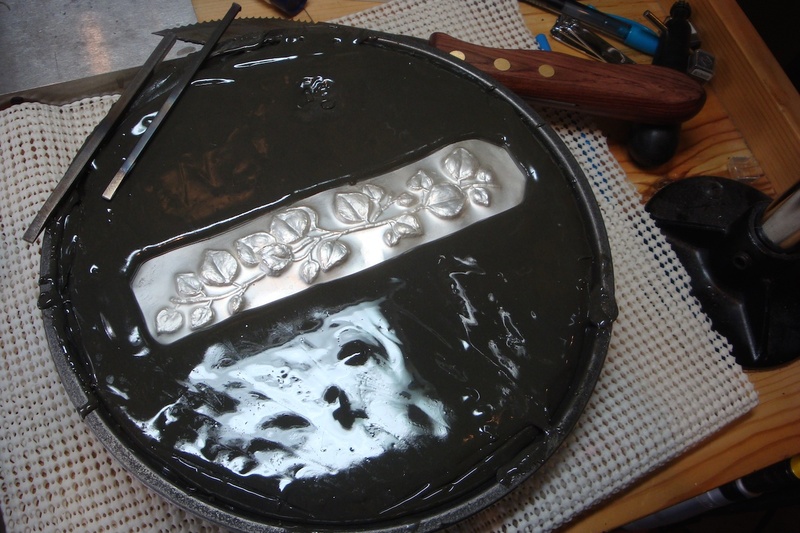 Doing this has shown me that if I want to try a new texture, grab a piece of copper and practice that texture before doing it on the actual piece I will create. This small effort can provide great insight into what needs to happen to create a particular texture. I thought you would enjoy seeing the texture squares next to the references I used to create them. 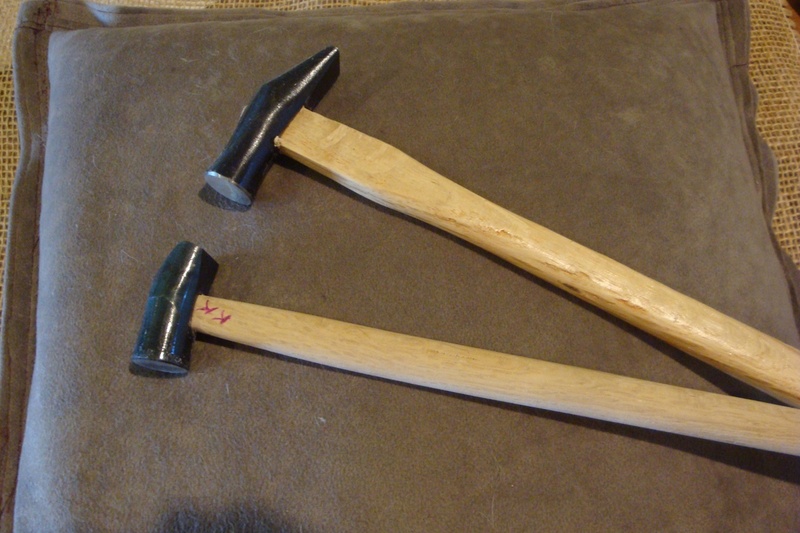 I’m also going to share a bit about the two tools I made as part of a personal challenge. More than one of the artists at the Exhibition stated that creating your own texture tools was one way to have your work truly stand out. This is the one square where I created my own texture tools. 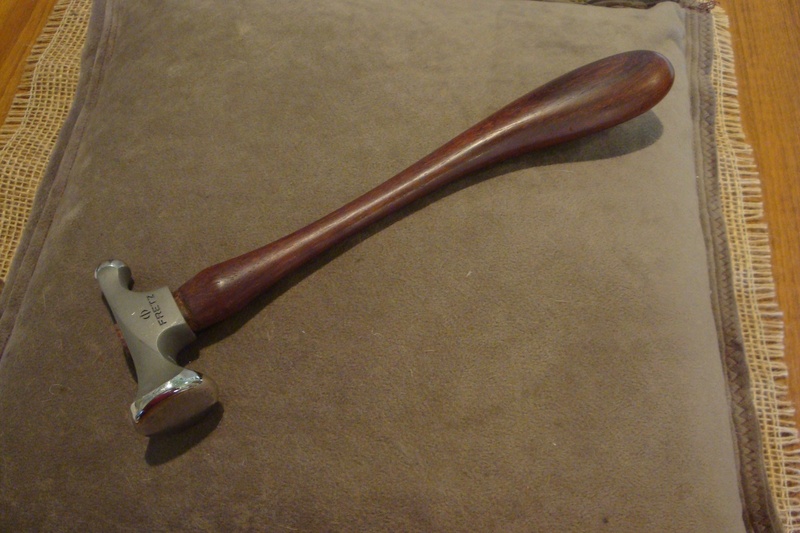 I will admit that starting to make these types of tools can be a bit intimidating for me, but that feeling quickly wore off and I am ready to make more! 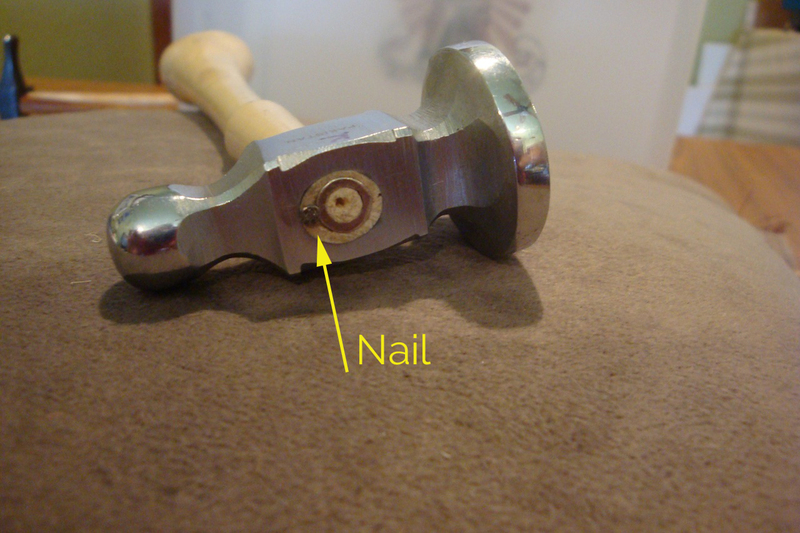 I will discuss my experience with tool making in a future post in my Talkin’ Tools series. 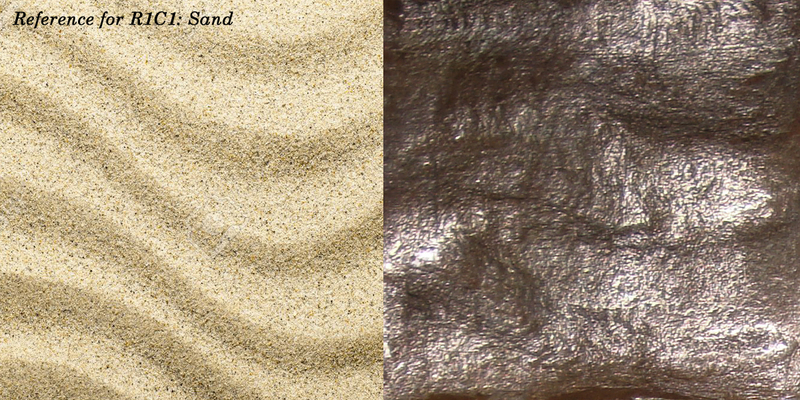 I found that the smaller of the two tools was best for this sand texture. When doing this type of texture, there is a lot of repeating the pattern over itself until you achieve the desired result. Next is one of my favorites, a leaf. Again there is a lot of repetitious patterning so the end result looks like those cells in an actual leaf. 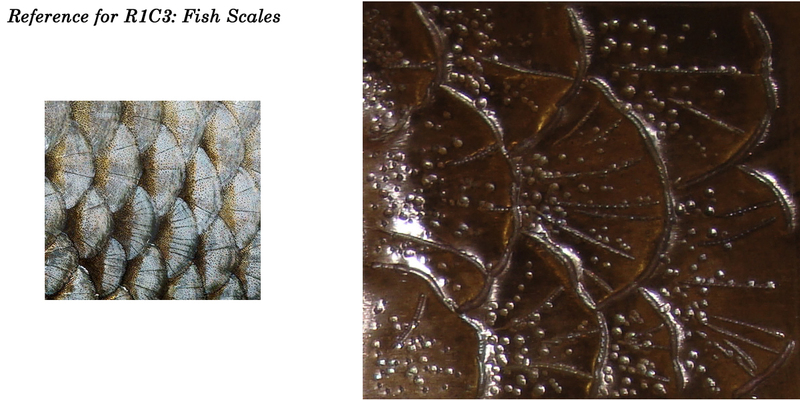 I have fished but never truly studied the patterns in their scales until now. The amount of detail is surprising and something I find quite beautiful. 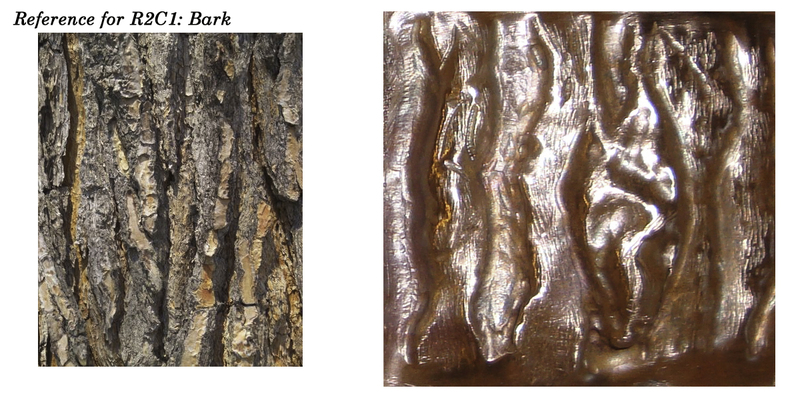 My attraction to trees made a bark texture a perfect choice. It was far more challenging that I could have imagined. There’s a delicate beauty in sea shells. I’ve collected a few and my interest in their patterns grew after our trip to the Oregon coast last fall. I knew I wanted to make a cuff design, incorporating lots of varieties. Now I know how challenging that cuff will be, but I think it will be a stunner. Somewhat in keeping with a nautical theme, I really like the big thick ropes that are tied to anchors. I happened to find this specimen in our back yard. We seem to have so many pretty grasses where we live. This one caught my eye and I just knew it needed to be included in my samples. 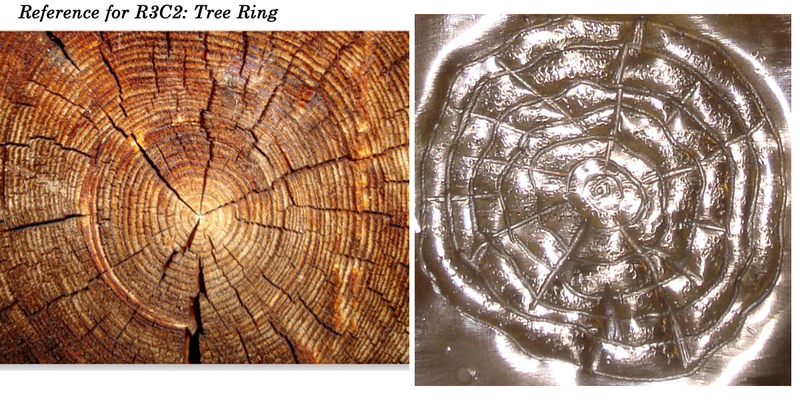 I’m fascinated by the growth rings in trees. They tell a story about any given year in the tree’s life. A few years ago we traveled to Yellowstone and one of the 100+ year old trees had to be cut down. The rangers had marked years on the various rings, accompanied with a historical reference. They are little windows into the past. 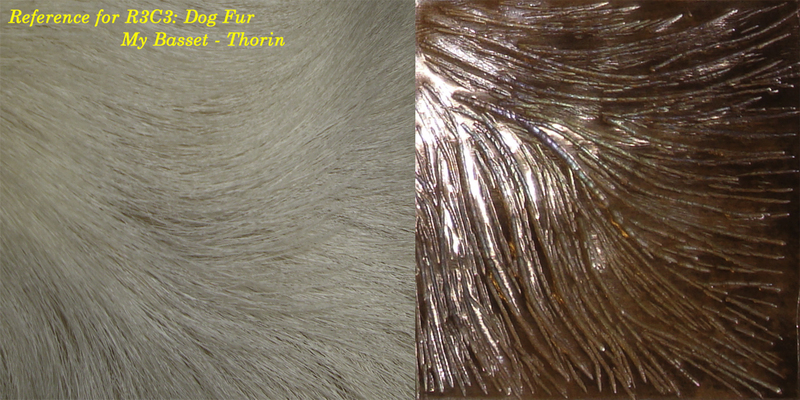 Last but certainly not least is the pattern from our Thorin’s dog fur. He wondered what I was trying to do when I snapped the close up of his fur. A fun challenge that was a great learning opportunity. Which of these textures is your favorite? 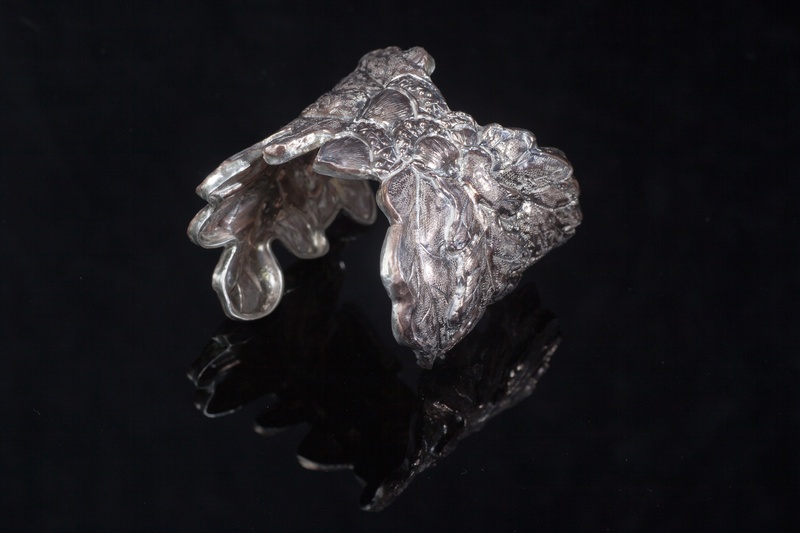 This is my accepted entry in the first International Chasing & Repousse Exhibition to be held at Outnumbered Gallery in Littleton, Colorado. The opening reception will be Friday, June 5th from 5:00 – 9:00 PM during Littleton’s First Friday. The exhibit runs from June 5 – July 18th. I am truly honored and humbled that this piece was one of the selected works. There were over 140 artists who applied and I am one of 29 that were selected for the exhibit. 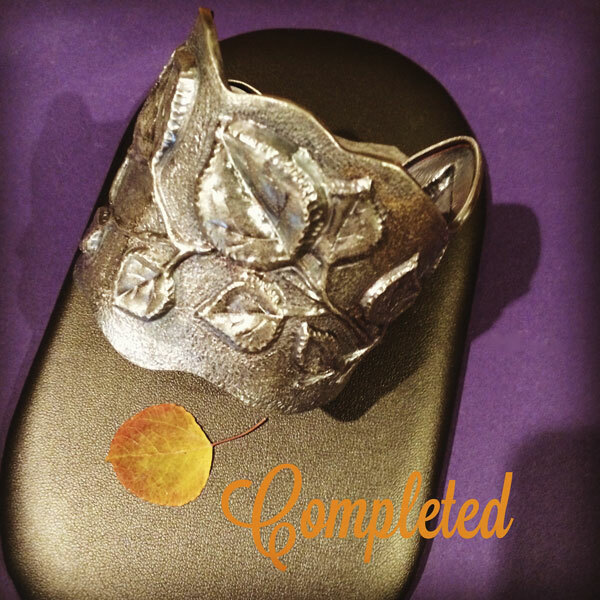 For this cuff, it is the first time I elected to use the Japanese metal alloy, Shibuichi. 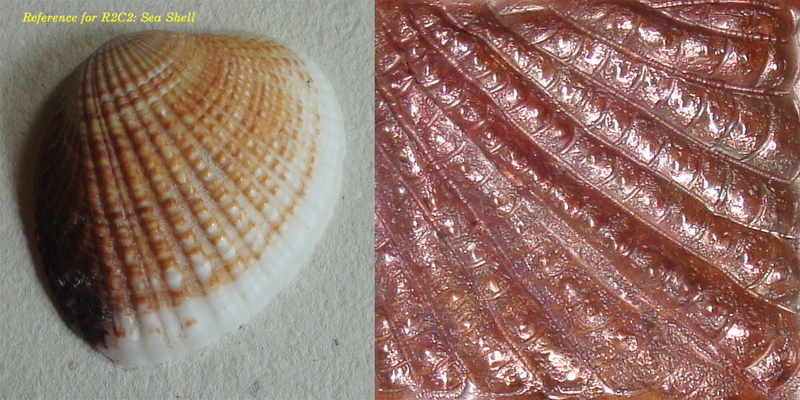 This material is a blend of copper and silver. 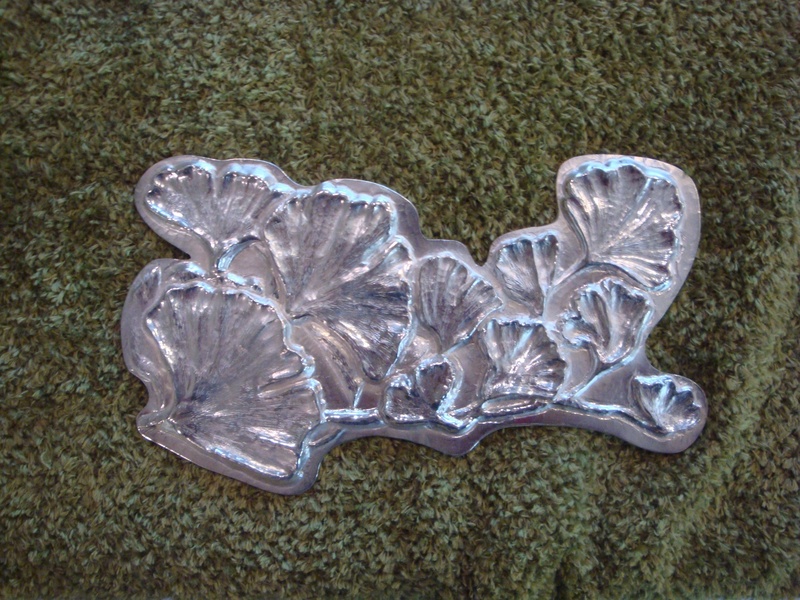 Working this metal created a warm undertone that I felt accentuated my design and the details. It has been my most challenging piece to create to date. I like to stretch and grow as an artist, which is why I believe it is so important to try new things and keep striving to become better. 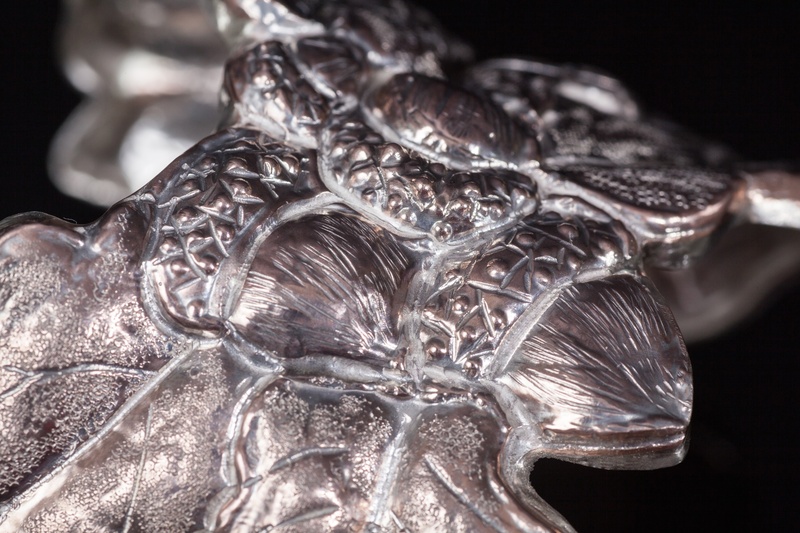 Il Maestro Fabrizio Acquafresca and another remarkable artist, Nancy Melie Walker, will be in attendance on the evening of the opening reception, demonstrating the ancient art of Chasing & Repousse. Talk about magical. All of the displayed work will be available for purchase. 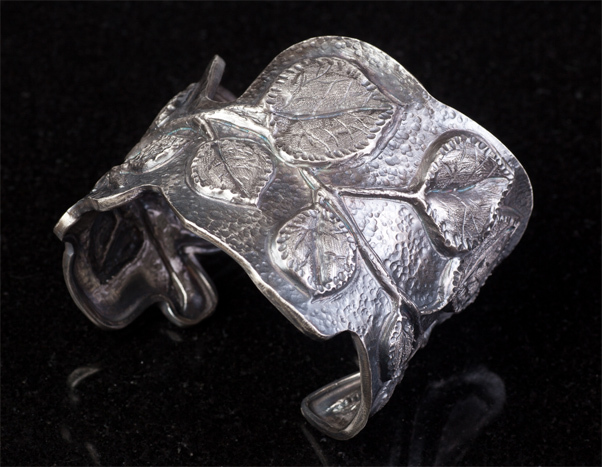 As an added bonus, Fabrizio will have cuffs from his Butterfly Collection that can be purchased. If you have admired his work or are just discovering it, this is a wonderful opportunity to become a collector of some of his finest creations. If you live in Denver or the surrounding area, I do hope that you can join me with my husband, Dan, at the opening reception. There will be many talented artists happy to discuss their work with you. Remember that the exhibit runs through July 18th, if you are unable to attend the opening. I would say this is one of those must see events of the summer. As a follow up to the last segment of Talkin’ Tools, I thought it would be important to discuss a few of the pitches I use. 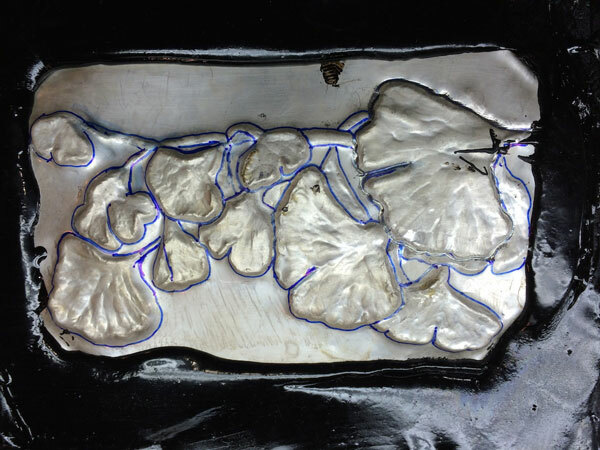 Pitch is the material that is used to support your metal as you move it into the shape of your designs using the Chasing and Repousse technique. As I explored the different pitches available, I found the standard German black and red through retailers like Rio Grande, Otto Frie, Metalliferous and others. As I like to say, Google is your friend when searching for materials and tools. Some are what I refer to as ‘special blends’ created by teachers like Il Maestro Acquafresca, Debra Montgomery, and others. I have discovered, as with most things I have learned, I tend to favor what I used in a workshop setting…..however……read to the end and find a surprising turn….. Unfortunately, the black tar blend I used in Fabrizio’s workshop is only available through Fabrizio. The only reason I prefaced that with “unfortunately” is because you can obtain this through him via his workshops (limited number in the US per year) and I think he may ship it to you, but it is heavy and international shipping….well, not much fun for this. On the bright side, I have been told and so far it has been my experience that with proper care, your pitch can last a lifetime. I think it is my personality to find alternatives along with being curious about others, so I decided to explore what might be available. For the work I do, I have found a medium consistency to be a good, all around pitch. Fabrizio’s special virgin tar pitch. One of my favorites, because this is the pitch I used in Fabrizio’s workshop. 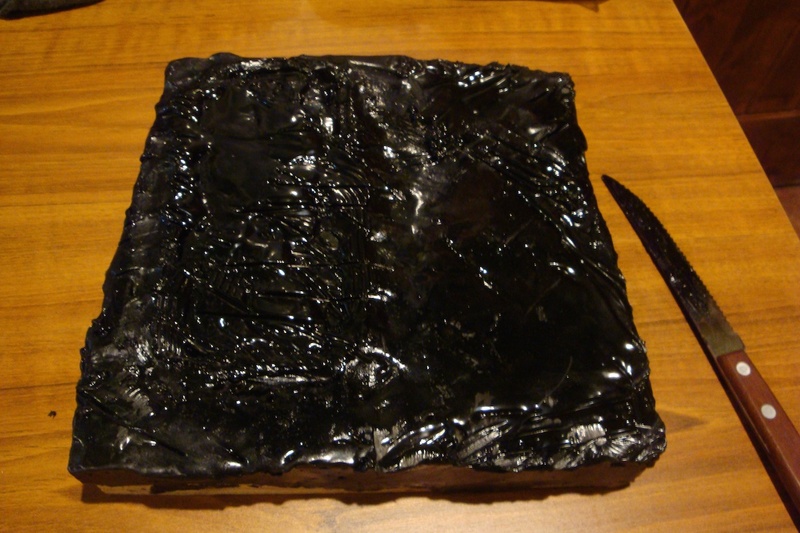 As you would expect, it has a very STRONG tar smell when heated. Proper ventilation is very important. My ideal is to heat and burn off this pitch outside given my studio set up. However, living in Colorado, that is not always a practical option for me, which is another reason why I have explored and used other pitches. Safety is of primary concern when using any pitch. I wear these gloves anytime I work with this pitch or any of the other ones. 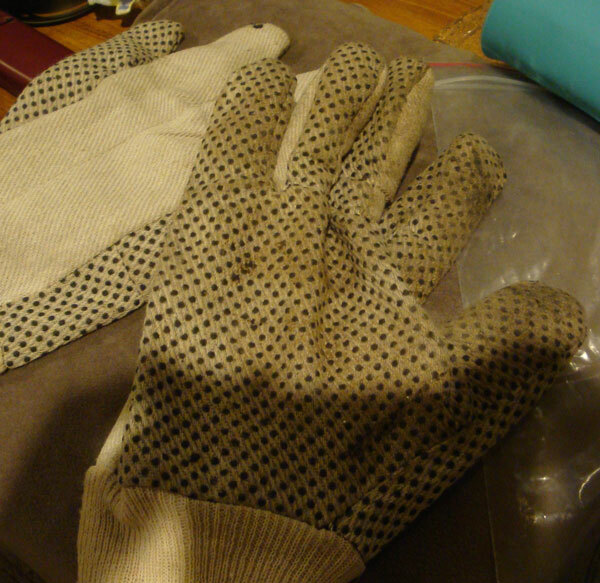 The picture shows the front and back of the gloves. The dotted pattern is the palm side. I think they are garden gloves that you can find at Walmart, Home Depot or Lowes….other places too. They appear to be a heavy cotton canvas with some type of rubbery dots on the majority of the surface. The important thing here is that you need to wear some form of hand protection when you heat ANY pitch. It will literally burn your skin off if you touch it when it is in its most liquid state. Fabrizio was extremely adamant and strong with his warnings about heated pitch. I too feel it is that important to stress the need for extreme care and caution when working with any of these pitch materials. Moving metal in this black pitch is wonderful. As with any of the pitches, you have to wait til it has returned to the right temperature before you begin your work. Fabrizio recommended testing for proper work temperature by placing the back of your fingers lightly against the metal seated in the pitch. If it is warm but not hot enough to make you want to move your hand, you are good to go. I have found an exception to this rule when working with the green pitch, which I will discuss in a bit. 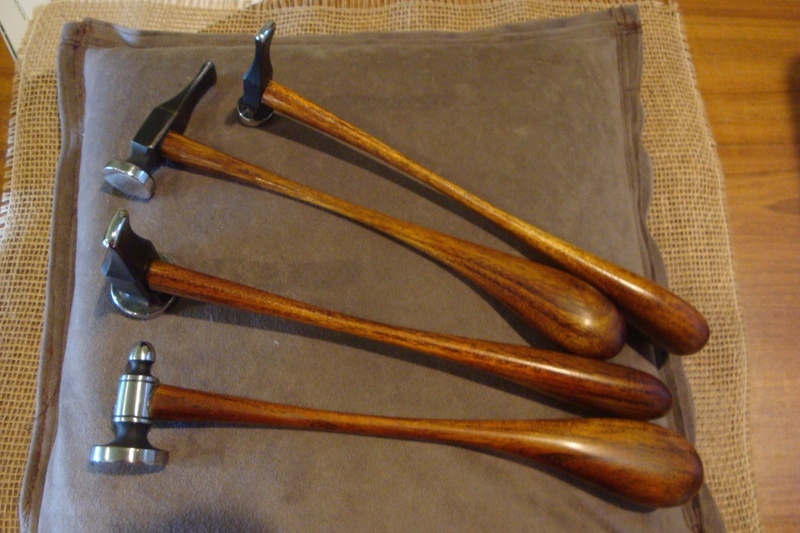 If you have the opportunity to take one of Fabrizio’s workshops, buy the kit (which includes the pitch block that sits on a plywood base), purchase his chasing tools….including the small set and see if you can buy an extra pitch block. Generally he only has what is needed for each student in the workshop. However, if you can get a message to him through the facility where the class is held, do so and see if you can acquire an extra pitch block as a back up. Just be prepared that you need excellent ventilation when you work with it and there’s just no getting around that tar smell. Great workshop, awesome instructor, wonderful concepts and techniques, coupled with the tools of the trade that he has worked with and created over 30+ years. Red German Pitch. This is a really nice, all around medium consistency. I got this through Rio Grande. 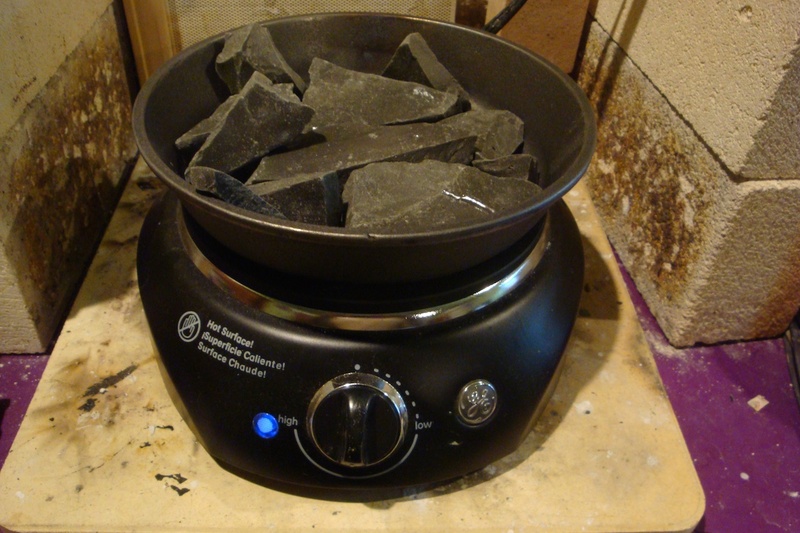 It comes in a ‘brick’ that you have to break up and place in the pitch bowl to heat in your oven at a low temperature. Rio recommends heating slowly, 250 – 300 degrees F. It is one of the few pitches that you can put in your oven to melt the pitch in the bowl for the first time. 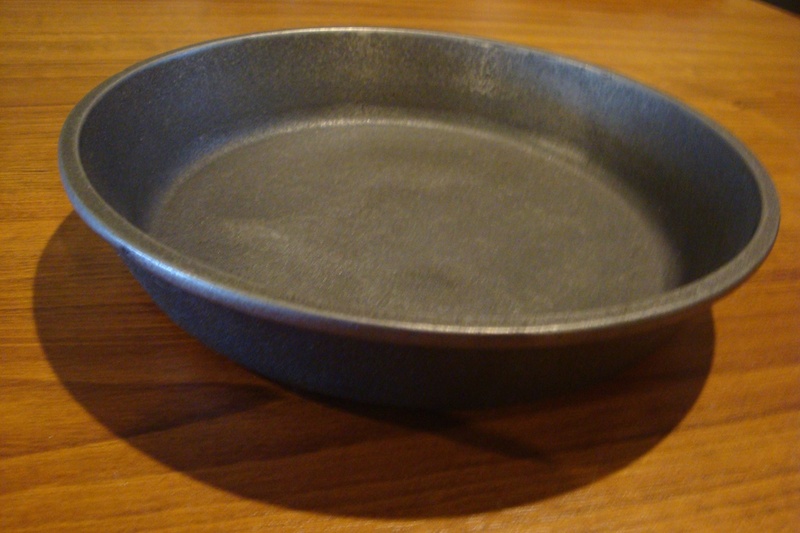 The bowl is cast iron, manufactured by Grobet. If you can find a Grobet pitch bowl, don’t hesitate to buy it. Wonderful quality. The red pitch has a very mild aroma when heated. You don’t have to burn off the residue from your work, but I have when it doesn’t respond well to being removed by acetone. It is not as malleable as Fabrizio’s black or Debra’s green pitches. However, the ease of accessibility and less noxious fumes makes it a great pitch. I am certain if I had not learned the technique in Fabrizio’s workshop, I would be very happy working with this pitch. Debra Montgomery’s Green Pitch. I discovered this pitch through Nancy L T Hamilton’s blog. I LOVE this pitch. Debra makes it using a pine rosin. It is so environmentally friendly, coupled with being great for moving metal. I cannot say enough good things about this pitch. Now you cannot heat this green pitch in the oven. Debra provides tons of information with the instructions, along with plenty of details on her Chasers-Pitch website. And if you have some questions, send an email and she gets back to you right away! This pitch comes in chunks so I didn’t find a need to break it up for heating it in the pitch bowl. 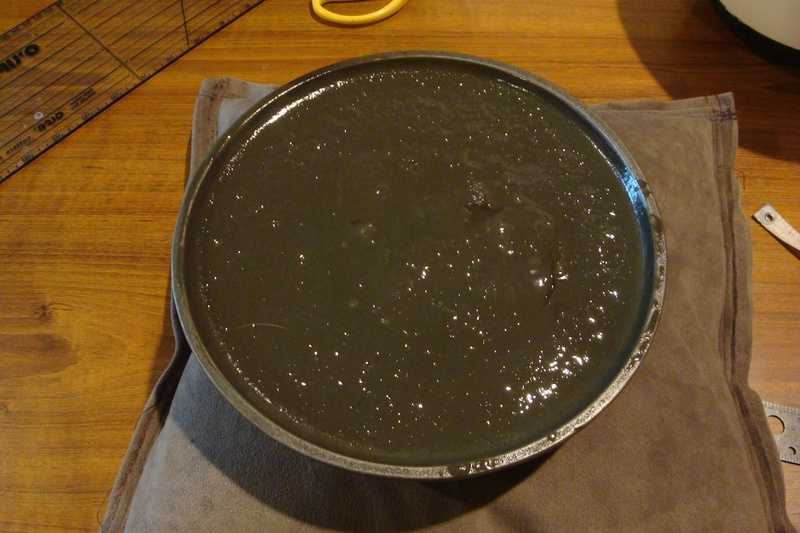 This is the pitch bowl (cast iron pie plate) that I purchased for the green pitch. I found this at an online company, Wasserstrom Restaurant Supplies. That link will take you directly to the pie plate I purchased. 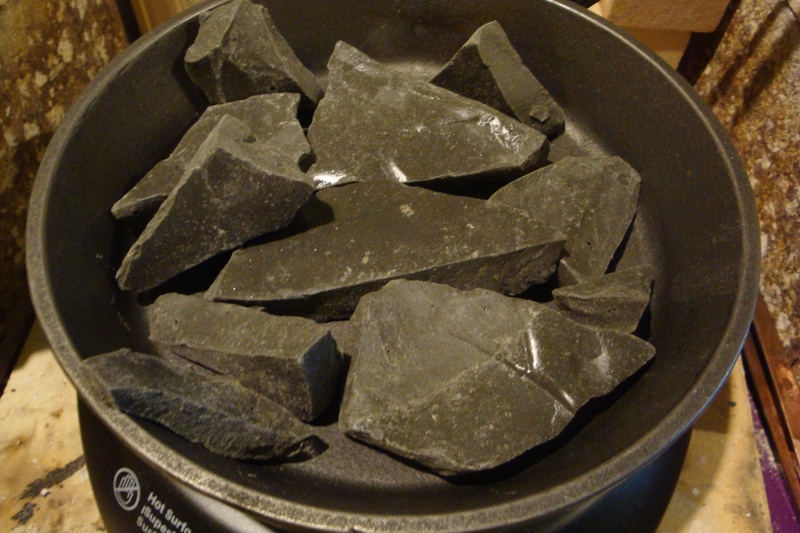 You can also look for cast iron plates at thrift shops, Walmart or other online stores like I did. The reason I got this plate is I couldn’t find the nice Grobet pitch bowl any more. Debra does recommend that you make some modifications if you use something like this as your pitch bowl. I did try to weld the bar, as recommended, for this new bowl, but I wasn’t successful. So far, I have not experienced any issues with the pitch pulling away from the sides, so maybe this bowl is shallow enough to not have the problem. 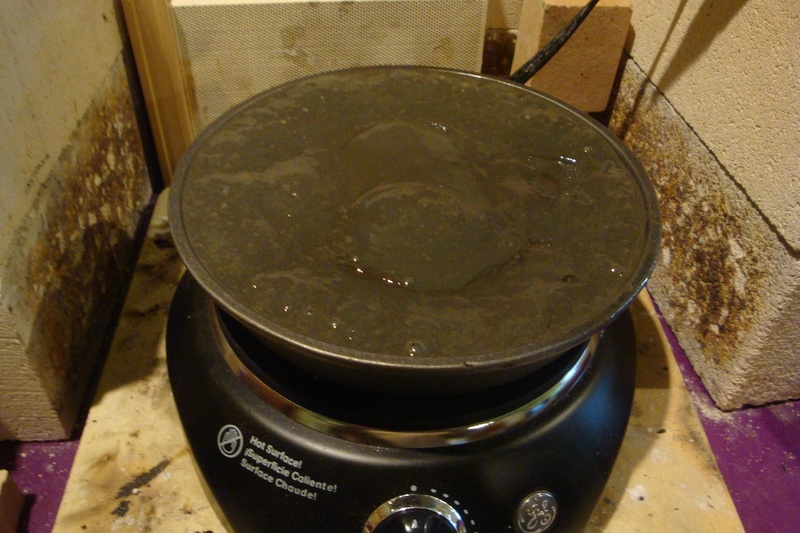 Again, since you cannot heat this green pitch in the oven, rather than using my torch, I used a hot plate I have in the studio. Please, please, please remember that anytime you take a kitchen item into the studio (the hot plate in this case), that becomes its new permanent home. You cannot safely return those items back to the kitchen for use in food preparation again. I kept a careful eye on this and it melted quickly. I have a heat safe surface adjacent to this so with the gloves and potholders I moved the pitch to that area to cool down. You can work material in this pitch at a slightly warmer temperature than normal. 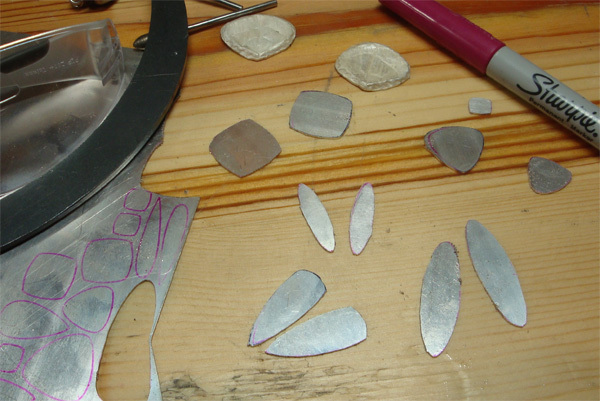 I still use the back of my fingers to feel how warm the metal is before I begin my work. 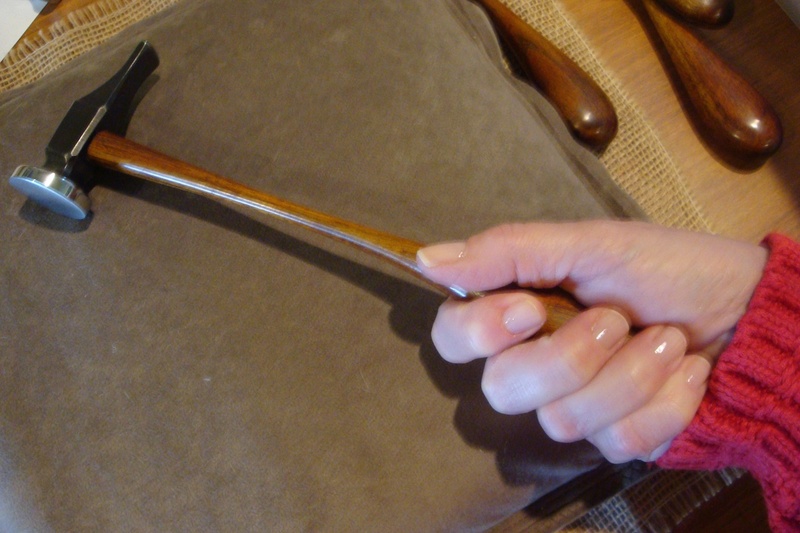 This picture shows one of my cuffs that is ready for chasing. Also note that because this is not a normal pitch bowl, you have to use something to act as a ‘damper’ for the bowl to sit on. The material the bowl is sitting on is some left over rubber shelf liner. I experimented with a couple of things before I found this works pretty well. The convenience of using this green pitch is great. I can use my heat gun rather than my torch when I prepare it for use or just re-heat it once it’s too cool. It liquifies quicker than the red or the black; again that is just with the use of my heat gun, not the torch. It does have a lovely pine scent. It is pretty easy to remove from your metal; I find with each new pitch I have a learning curve on how to correctly work with it. I just gotta say, I am super impressed with this pitch and I highly recommend it. To order the green pitch, you can find it at Chasers-Pitch. I did get Debra’s eBook with my first order and have thoroughly enjoyed it. > Something I read recently was to apply a light coating of PAM to the surface of your metal that will be placed in the pitch. 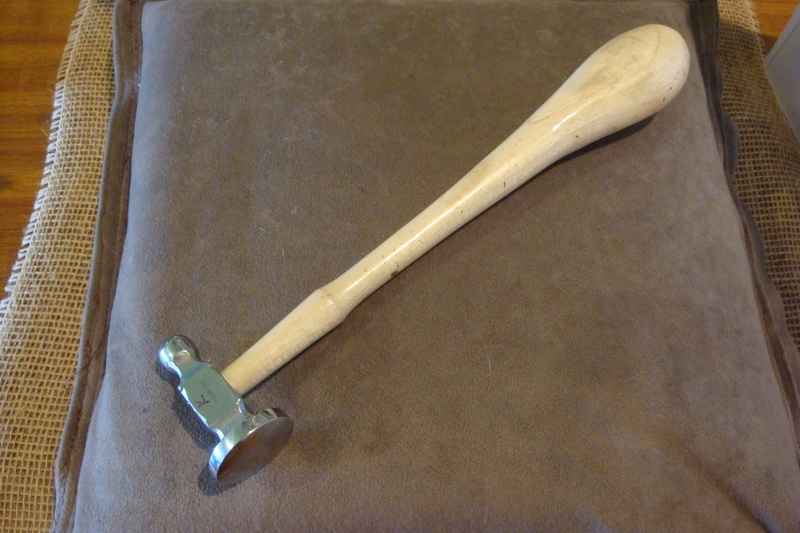 This helps to prevent the pitch from adhering to your piece once you heat it to remove it from the pitch. I find it works quite well, but go light with the spray! 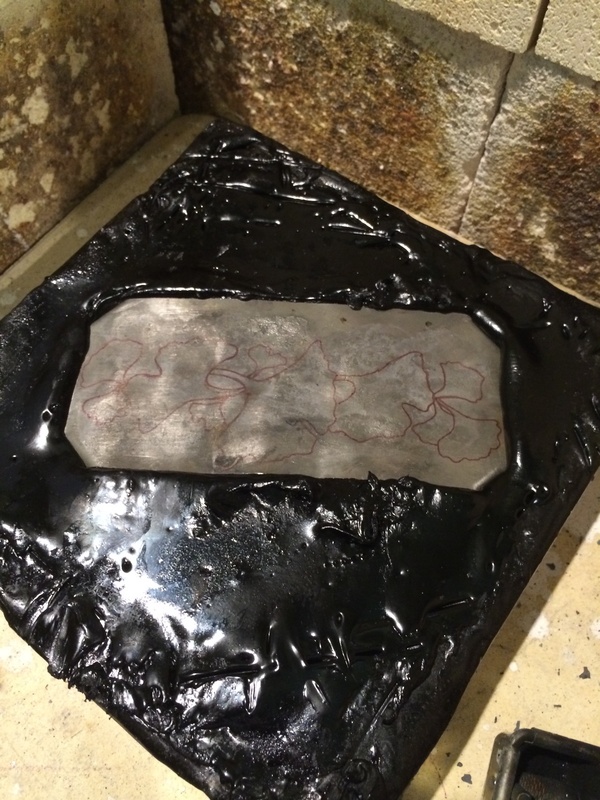 I have just applied it to a paper towel and then rubbed that across the metal; you don’t want to use too much. > Again, let me state that with proper care, your pitch can last a long time….maybe a lifetime. What is proper care? Don’t overheat your pitch to the point where it smokes and starts to burn. 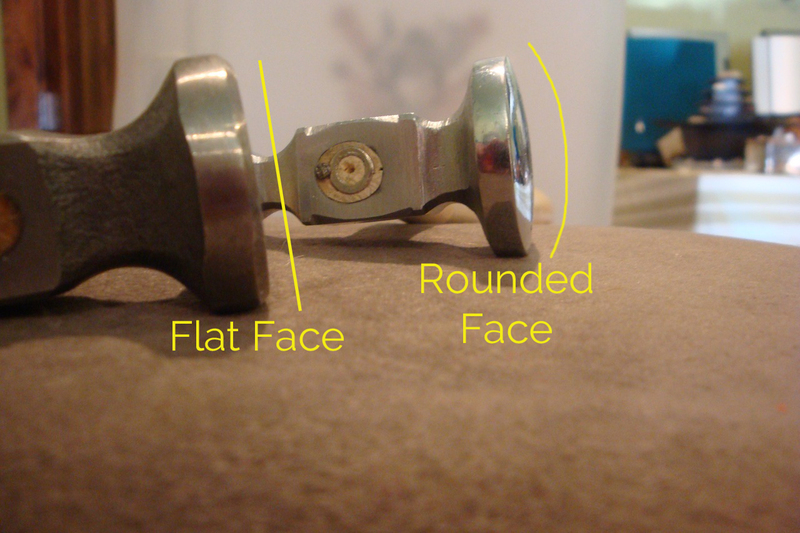 That will cause bad pitch segments and affect the outcome of your chasing and repousse work. When not in use, keep your pitch covered to prevent contamination by dust, animal dander and such. 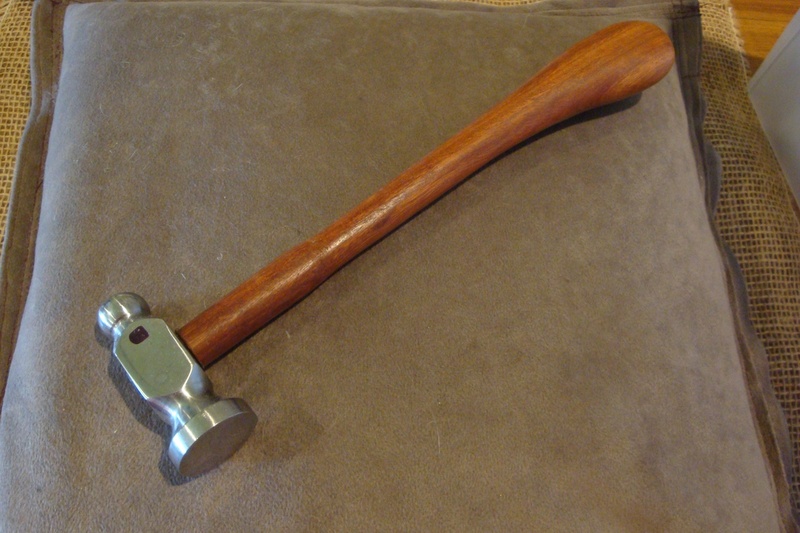 Thanks for joining me for this segment of Talkin’ Tools. I hope you enjoyed the read and more importantly, I hope I have given you some good information about the various pitches I use. I don’t know about you, but I have a ton of demands on my time. I like to think I am fairly good at time management. However, there comes a point where I just cannot get to my bench to create. Fortunately, that time has passed and thanks to a beautiful rainy day, I returned to my creative zone on Sunday. 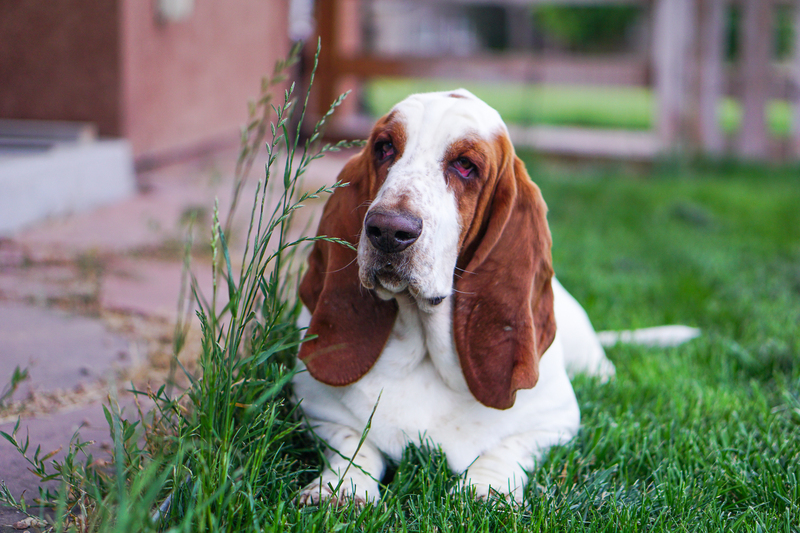 Ah, working in my studio, soothing music plays, new projects start to unfold with a slumbering basset hound at my feet; that is perfection….my picture of contentment. One of the items I recently finished was another Aspen cuff; chased in sterling and oxidized with a liver of sulphur patina. 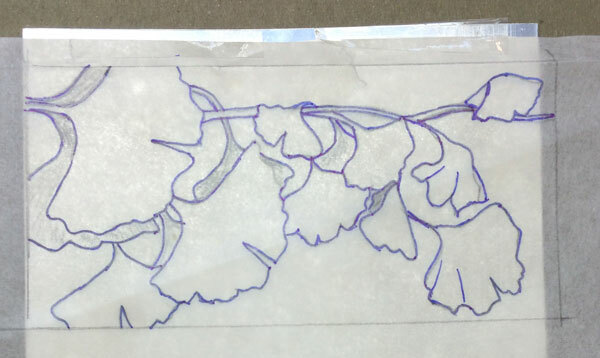 This is the first cuff design that I have drawn free hand, on the metal, from my observations of fresh Aspen branch cuttings. 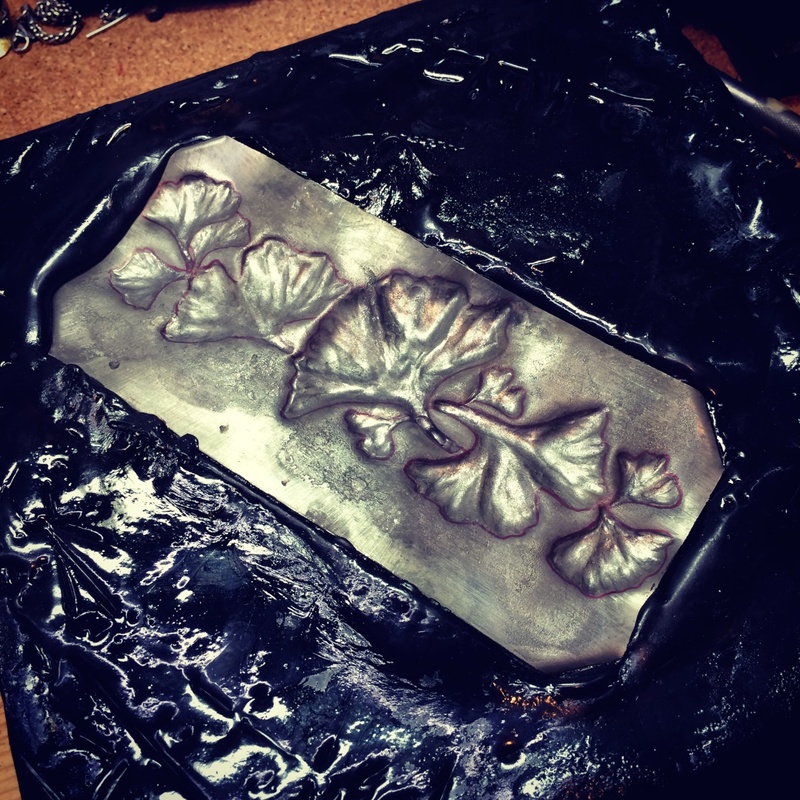 I have found myself completely absorbed by the Chasing & Repousse technique. I am so grateful that I had, what I considered to be a once in a lifetime opportunity to learn this from Il Maestro Fabrizio Acquafresca during the summer. 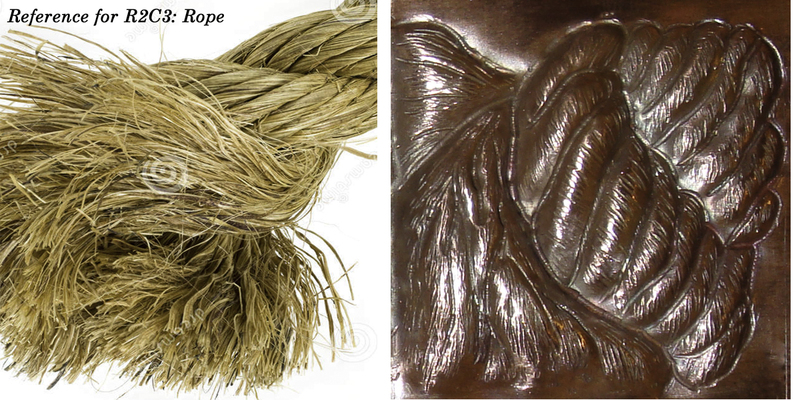 Chasing and Repousse, the Italian Way, as Fabrizio likes to say. I am forever in his debt. New works on the bench are some items in my Treescape series. I am so thankful for the continued response and interest in this line. Currently I’m working on a variety of earring shapes in preparation for a November Trunk Show and the Holiday Season too. 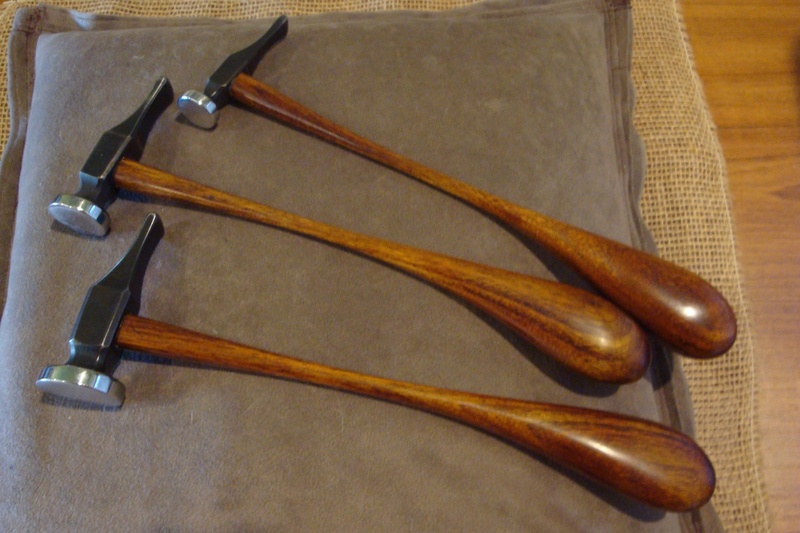 That creative pace I enjoy is settling into perfect momentum, which allows me to produce a variety of new items. I will leave you with a bit of a teaser. Music is one of the many things I love. How will I incorporate it into my work? 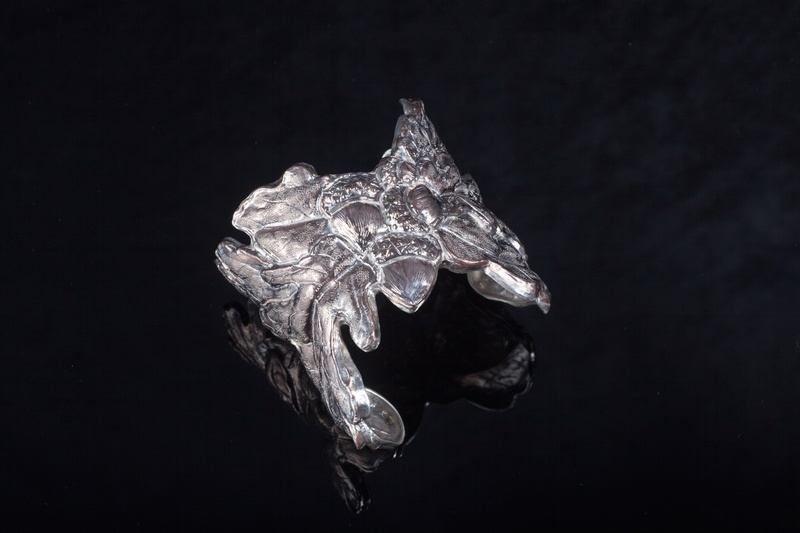 Wait and see….rings, earrings, pendants and cuffs are coming soon. September brings a change in seasons here in Colorado. The temperatures have already started to cool in anticipation of fall. Trees are even starting to change color. I love this season. And with September comes the Front Range Open Studios! 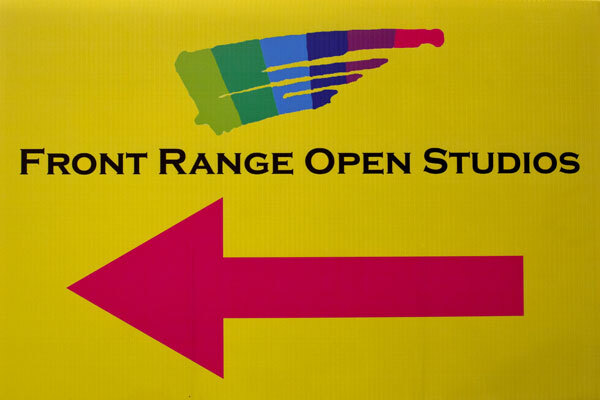 Look for these colorful signs to guide you to the 16 artist studios on this year’s tour. I am delighted to be returning to the tour, now in its 4th year. So many creatives, sharing what they do and opening their studios to the public during the weekend of September 13 – 14, 2014. 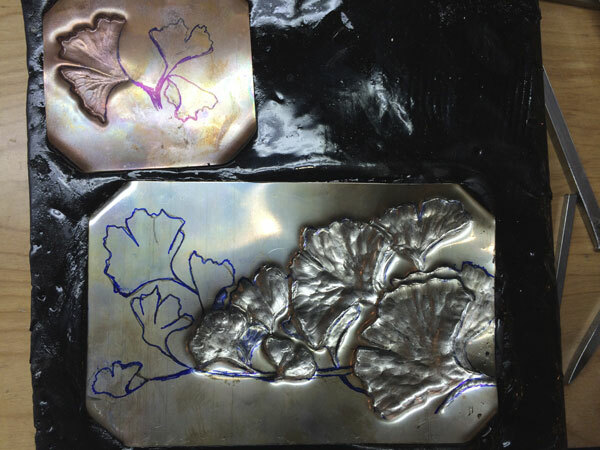 During this year’s tour weekend, I will be demonstrating a metalsmithing technique known as Chasing and Repousse. I took a 5 day workshop this summer from Il Maestro Fabrizio Acquafresca. What a wonderful experience and it has opened so many possibilities for me in my work. 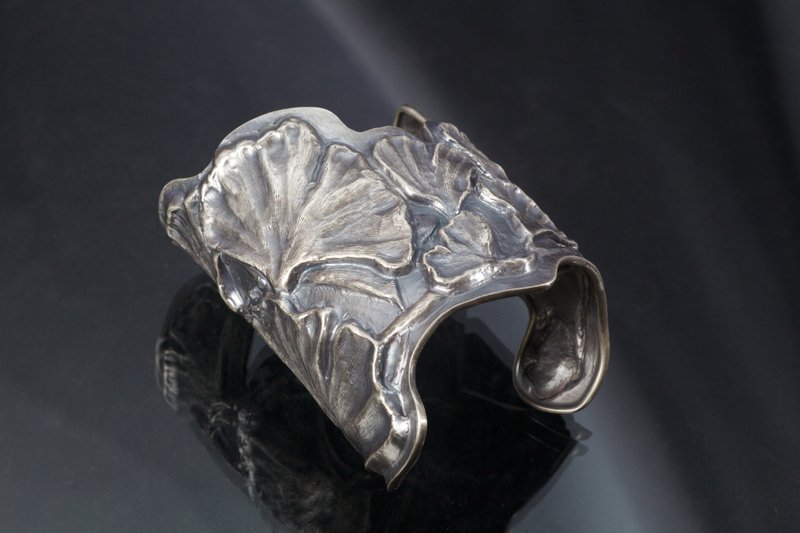 The cuff shown at the top of this post is a combination of techniques; Chasing and Repousse, plus fused gold to steel. 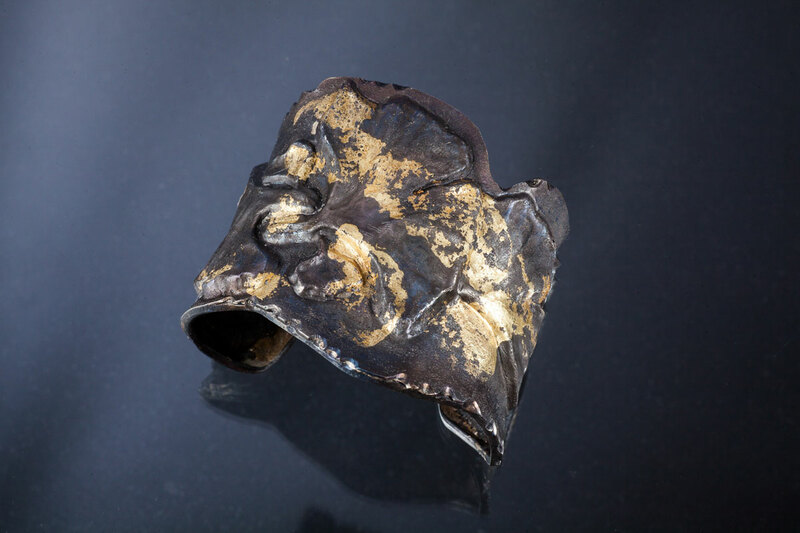 My husband Dan had a great idea to video my work on this cuff, from start to finish. Here’s a sneak preview of that video. If you visit my studio during the tour weekend, the video of this piece’s fabrication will be playing (except during the Bronco game on Sunday). 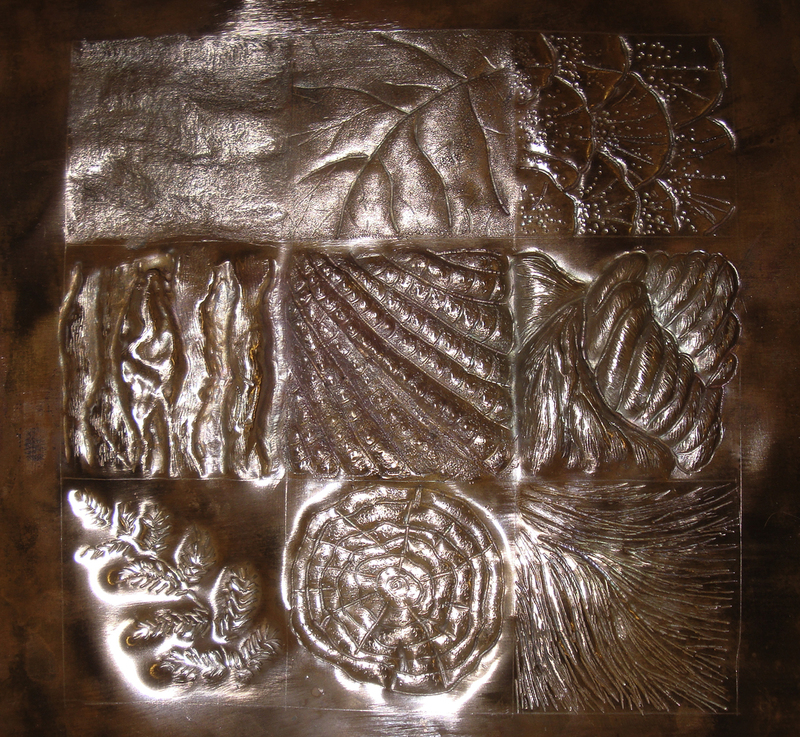 Throughout the days on Saturday and Sunday, I will be demonstrating Chasing and Repousse, the Italian way. My goal is to share how this technique can be utilized to create wonderful forms of personal adornment. 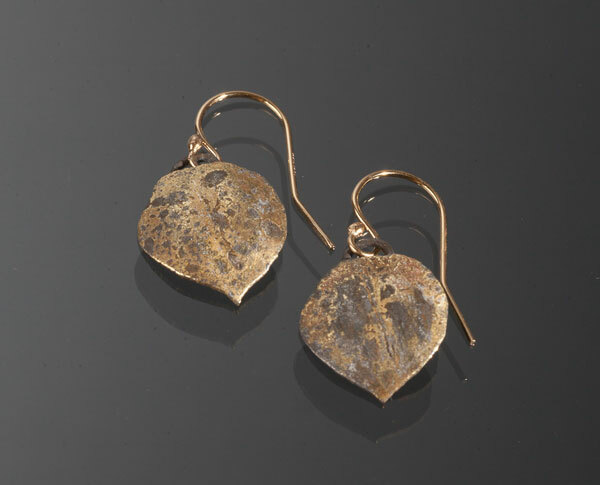 I will also be debuting a number of Aspen leaf earrings, like this pair. Fused 22Kt gold to steel. The movement in these reminds me of the way the Aspens in our back yard move as the wind blows. 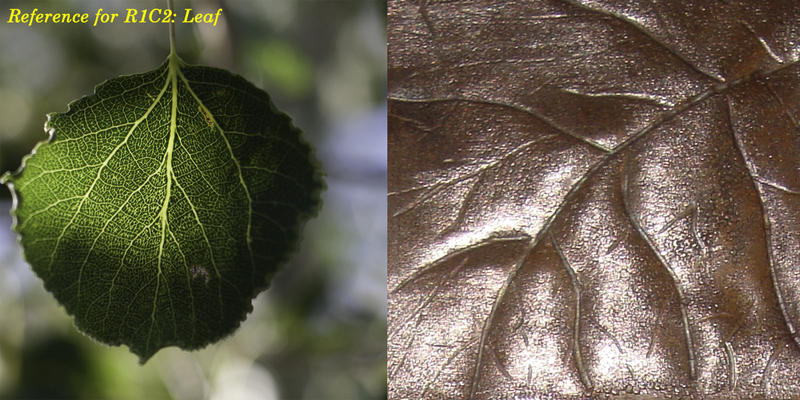 As a matter of fact, several of the young Aspen leaves from this spring served as patterns for the earrings. This is the map to our studios. Click on the map or this link for the online information showing where our studios are located. My studio is lucky #13! 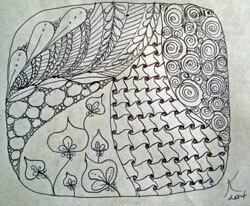 In addition to all of this, we have the Zentangle Challenge! What are Zentangles? They are a form of creative doodling. The ‘zen’ part is the calm, relaxing sensation one experiences during this form of self-expression. Anyone can do it. Ten artists on the tour have either incorporated Zentangles into their work or have examples as inspiration in their work space. Your mission, should you choose to accept it, is to find all ten artist locations where the Zentangles exist. When you find them, circle or star the location on the studio brochure (that is your entry form for this contest). Once you have identified all ten locations, you can leave your completed brochure at any tour studio. Please include your name, email and phone number so we will know how to contact you if your name is drawn as the winner. 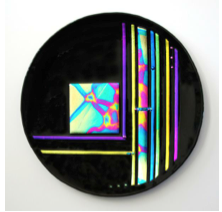 The prize, a gallery quality dichroic glass platter by Nancy Bonig Glass Studio! The weather forecast is wonderful for this weekend, with a hint of coolness and that means I might make a batch of spiced cider for people who visit me. A Facebook friend made the comment that she liked how I was “branching out” with my work. She had seen my status updates last week as I posted progression photos of this bracelet. I know she is right, my work is branching out and I love the feeling. Last Wednesday, I started a 5 day workshop with Il Maestro Fabrizio Acquafresca. It was amazing. I don’t think my work will ever be the same. 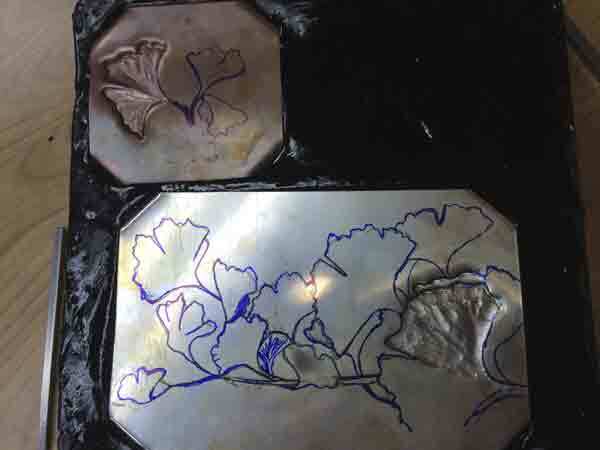 He teaches a metalsmithing technique called Chasing and Repousse. It is challenging, but the rewards are so worth the effort. I thought you might enjoy seeing how this bracelet evolved. The first day of the workshop we did a very simple dragon fly to get acquainted with the tools and get a feel for the process. I can’t tell you how many times Fabrizio had to lift my left elbow off the bench while I was working. He wants everyone to understand and develop the feel for the right way of doing things. Why? 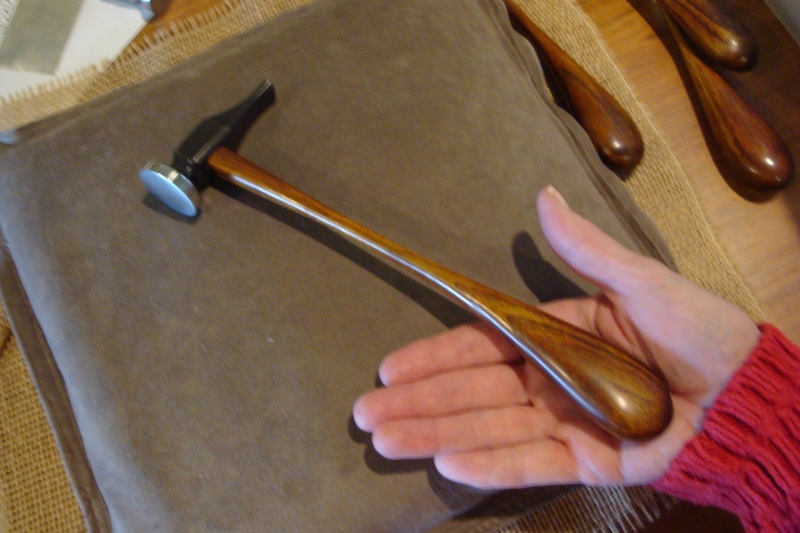 Because it is essential for the correct execution of hammer and tool, but also for your long term physical well being. It’s all part of the learning curve and boy howdy am I learning. On the second day, we had the freedom to choose a pattern and decide what we wanted to make. I knew I wanted a bracelet. True to form, I wanted something different and went asymmetrical. 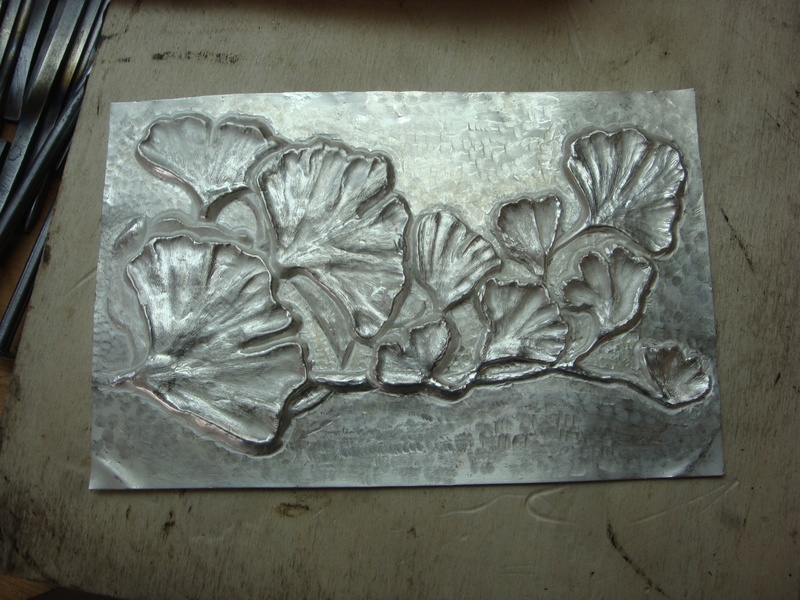 I am fond of Gingko leaves and thought that would be a good place to start. After a few sketches, I set my sites on this one. I thought it would give me enough variety to practice the different depth levels and it didn’t let me down. The copper in the upper left corner was an example Fabrizio created for me to follow. 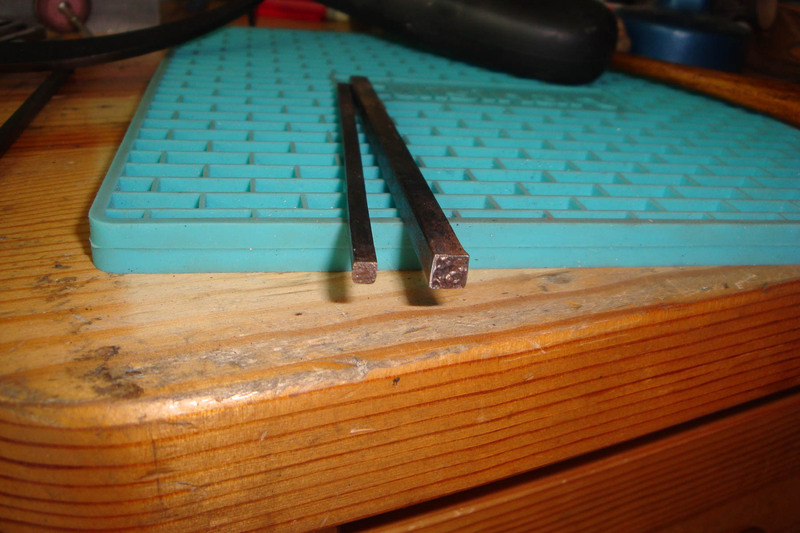 I had difficulty with moving the tool in a flow along the metal. Given that this was my second day attempting the technique and Fabrizio had been doing this since he was 13, well, I know there is a ton of practice in front of me. I persisted and was rewarded. The material the metal rests in is Fabrizio’s formula of virgin tar and a calcium mix. Initially I thought it would be sticky, but it is not. It’s quite conducive to the process and others who had done this technique using other forms of ‘pitch’ found this material to be the best and easiest they had ever worked with. Over the next couple of days, I went through the process and saw plenty of progress. Plus I was learning so much. This next photo shows that the metal is flipped and I am at the start of adding more detail to what would eventually become the outside of the bracelet. 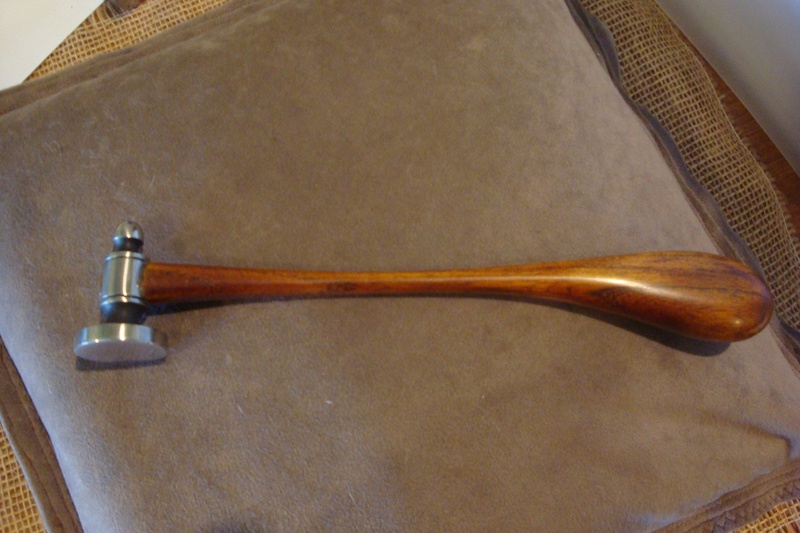 Detailing completed, the piece was ready for the wire to be soldered to the back for stability and comfort. I wanted an irregular shape for the bracelet. This worked out quite well because the narrowest section would be on top of my wrist and the wider areas hold the bracelet on the underside of my forearm. Comfortable and lightweight, plus that design created stability so the bracelet doesn’t move around on my arm. It was now ready to be formed and shaped to fit my wrist. For the finished piece that you see at the top of this post, I used a liver of sulphur solution to give it more of an aged look. I actually prefer that look over a high polish, but either works well. I do think the liver of sulphur helps to bring out the detail in the piece. 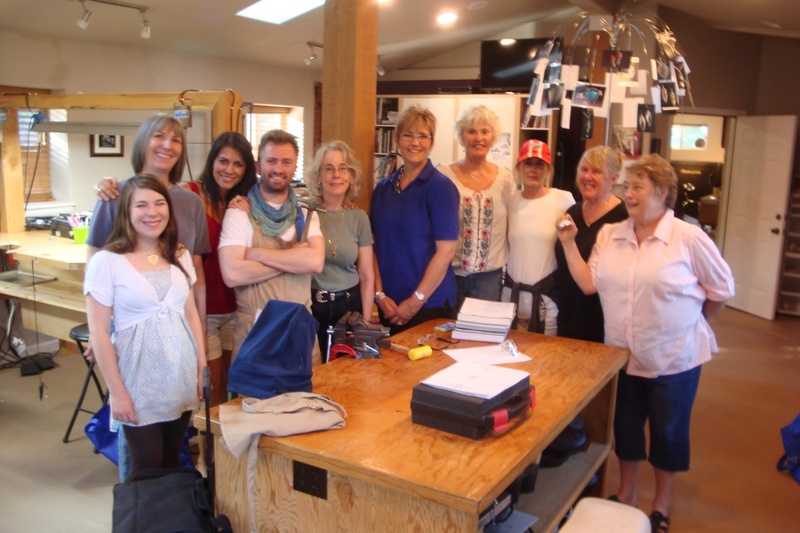 Left to right – Shannon, Me, Andrea, Fabrizio, Elizabeth, Sandy, Ann, Amy, Nancy and Gloria. We had a great group; a perfect blend of creatives. I considered this workshop to be one of those lifetime opportunities. If you ever have a chance to take this workshop from Fabrizio, DO IT! The investment in yourself to learn this kind of skill from a true master is invaluable. Fabrizio is patient and one of the best teachers I have had. He has an exuberance and zest for life! There is never a dull moment. Enjoyable, entertaining and packed full of knowledge. Ok, it’s just plain fun. A win, win! I know I am branching out and so excited about the possibilities.